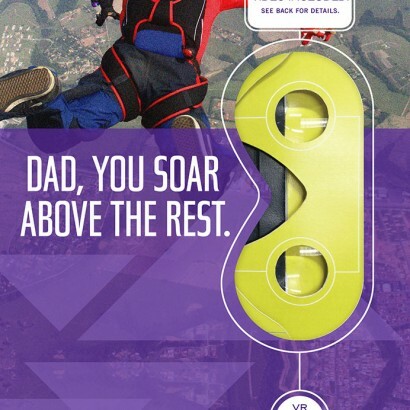 This Father’s Day, Hallmark is bringing the latest top tech trend to greeting cards by launching virtual reality greeting cards that take the recipient on an unforgettable adventure. 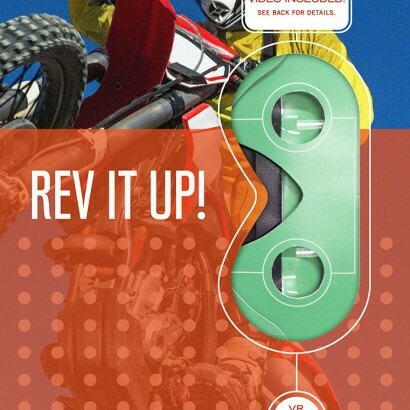 Using VR technology, these Father’s Day cards give Dad a 360-degree viewing journey tied to the theme of the card: surfing, sky-diving, motorcycle racing and car racing. 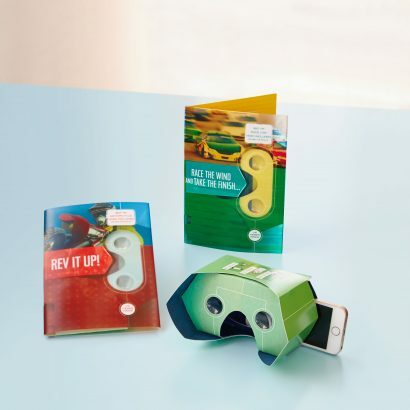 Hallmark Virtual Reality Father’s Day cards feature four selections for 2017 with a detachable VR pop-up viewer and simple instructions for how to view the video. The recipient will use a smart phone to access a website and open the YouTube app. 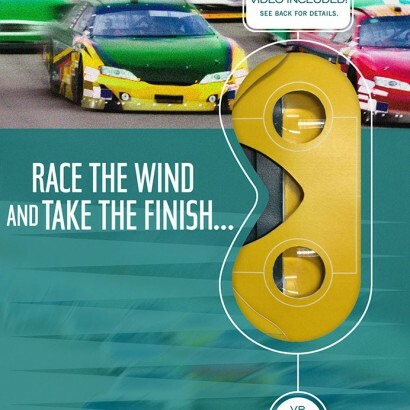 By sliding the smart phone into the pop-up viewer, the recipient can then experience surfing or driving a race car without leaving the house. In addition to Father’s Day VR cards, Hallmark will launch four new VR card designs for birthday this summer. 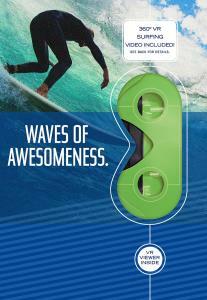 Look for Hallmark Virtual Reality cards wherever Hallmark products are sold nationwide. 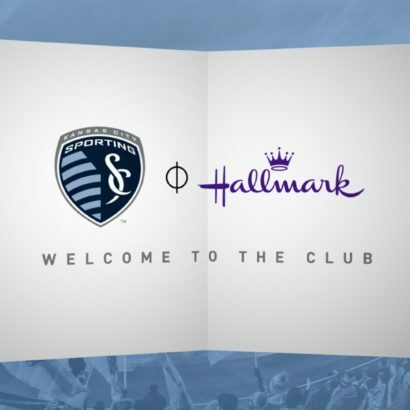 Visit Hallmark.com/VirtualReality to shop for cards online or find the nearest store. Hallmark Virtual Reality Father’s Day cards are available in more than 20,000 locations nationwide, including participating Hallmark Gold Crown stores, online at Hallmark.com, and in other participating Hallmark retailers. With an estimated 72 million Father’s Day cards exchanged every year, Father’s Day is the fourth-largest holiday for giving greeting cards. 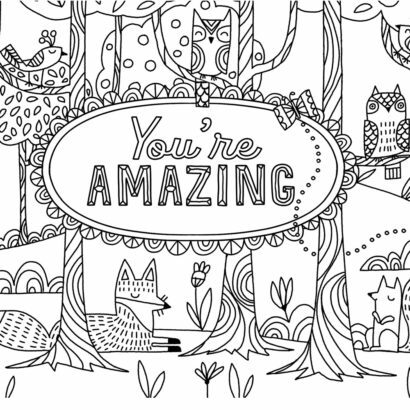 This year, the Hallmark Father’s Day card collection includes more than 800 designs to recognize the dads in our lives with sincerity, laughter, distinctiveness and impact. In addition to dad, husband and grandpa, Hallmark offers Father’s Day cards for father-in-law, son, son-in-law, grandson, great-grandpa, uncle, brother and nephew, godson, godfather, cousin, stepfather, partner, dads-to-be and anyone who is a father figure. Shop for cards online or find the nearest store.